Our department gathered at the Carolina Club to celebrate the holidays on December 13, 2017. The lab of Jean Cook, PhD, in the Department of Biochemistry and Biophysics, found how a chain of proteins called an MCM complex could enable the fast cell-division that makes some forms of cancer so dangerous. The study first author Jacob Matson, a PhD candidate in the Cook lab performed most of the experiments. Tom Lane under the direction of Dr. Kevin Slep, successfully defended his dissertation on November 3, 2017 and received his PhD! 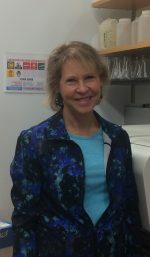 Congratulations to Sharon Campbell who has been appointed the Gary F. Liebscher Distinguished Professor of Biochemistry and Biophysics, effective November 1. Nikolay Dokholyan, Ph.D. from Biochemistry/Biophysics and Alexander “Sasha” Kabanov, Ph.D. from Pharmacology met with the President of Armenia on Nov. 8, 2017. Thanks to students Hanna Trzeciakiewicz (Cohen Lab) and Aaztli Coria (Laederach Lab) and office staff Jamie DeSoto, Lynn Ray, and Susan Sarvis for organizing a fun Halloween party. Prizes for best individual costume went to Dr. Edward Moreira Bahnson with the white skeleton face and bow tie. Best group costume went to the Parise Lab with the mice costumes. Winner of the Pumpkin weight contest went to Bobby Lee (Bergmeier Lab). Actual weight was 33 pounds. Winner of the Candy Corn Count went to Aleksandra Skrajna (McGinty Lab). Actual count was 1340 candy corns. Welcome Anita Jackson, MD, MPH to the department! Grad Student Cassandra Hayne receives her PhD! 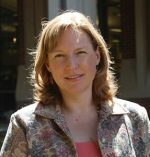 Hayne successfully defended her dissertation and received her PhD on August 31, 2017. Zhang lab develops a new imaging technique helps UNC researchers study tiny, time-sensitive biological processes – the crucial underpinnings of human health and disease. The Biochemistry and Biophysics department gathered together to view the solar eclipse on August 21, 2017 with cereal box projectors and protective eclipse glasses. The moon blotted out 93% of the sun. Monday’s eclipse was the first one since 1918 that traveled across the United States. Beginning on Monday, September 18, 2-Step Verification will be required to utilize the UNC School of Medicine Campus VPN to access resources from off-campus locations. The Cisco VPN Client is typically used when off campus to access shared network resources such as the J: drive, and on-campus printers, as well as connecting to your office desktop using the Remote Desktop Connection. Read more for information on registering for 2-Step Verification (Duo). Blood Advances From the cover. 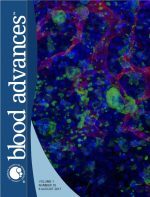 Bergmeier lab image has been selected for the cover of Blood Advances 1:18 issue. 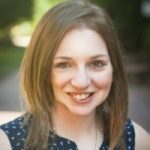 Congratulations to Saskia Neher, Assistant Professor of Biochemistry and Biophysics who received a Basic Science Award from the National Lipid Association (NLA)! UNC and University of Florida researchers created viruses to deliver gene therapies while evading pre-existing immune system responses. 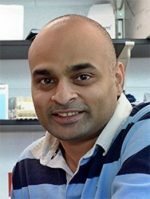 Congratulations to Aravind Asokan, Assistant Professor of Genetics with a Joint Appointment in Biochemistry and Biophysics of whose findings provide a road map for designing virus strains that can evade neutralizing antibodies. UNC study uncovers crucial function of a yeast enzyme Set2 whose well-conserved human counterpart is often mutated in cancers, especially kidney cancer. 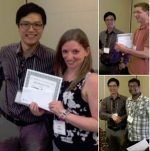 Congratulations to Cassandra Hayne, Jacob Matson, and Mahmud Hussain, PhD 2017 Research Retreat Talk and Poster winners! Leslie Parise, professor and chair of biochemistry and biophysics, has been elected to a three-year term as chair of the faculty beginning on July 1, 2017. Mahmoud successfully defended his dissertation and received his PhD on April 20, 2017. Bradley successfully defended his dissertation and received his PhD on April 17, 2017. The annual faculty elections will be held April 7-19, 2017. Electronic ballots will be sent by email to all members of the Voting Faculty. Robert McGinty, M.D., Ph.D., an assistant professor in Pharmacy with a joint appointment in the department of biochemistry and biophysics has been selected as both a 2017 Searle and a Pew-Stewart Scholar. He is the first Searle Scholar named at the University of North Carolina in the past 10 years. 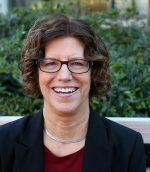 Congratulations to Leslie Parise, professor and chair of Biochemistry and Biophysics on her election as the new President of AMGDB to begin in January, 2018. 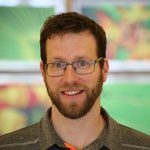 Benfeard successfully defended his dissertation and received his PhD on March 24, 2017. 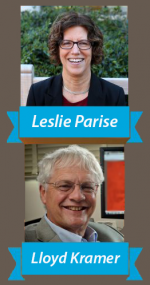 The Office of Faculty Governance at UNC is pleased to announce the 2017 Chair of the Faculty candidates: Leslie Parise and Lloyd Kramer. Voting takes place on April 7th! Congratulations to Candice Crilly and Hanna Trzeciakiewicz for receiving Predoctoral Fellowships from the National Science Foundation! 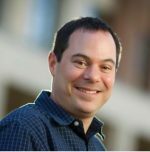 Seth successfully defended his dissertation and received his PhD on March 17, 2017. 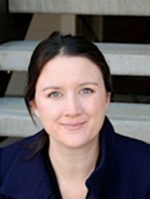 Cassandra Hayne, working with Saskia Neher, PhD, found that a specific mutated version of a lipoprotein binds more effectively to liver cells, thus explaining decreased levels of triglycerides in blood. 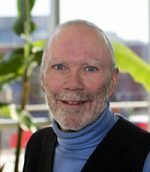 Congratulations to Wolfgang Bergmeier, associate professor of biochemistry and biophysics who was just named as a new associate editor for the Journal of Thrombosis and Haemostasis. 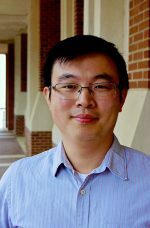 Congratulations to Qi Zhang, Assistant Professor of Biochemistry and Biophysics who received a Faculty Early Career Development (CAREER) award from the National Science Foundation (NSF)! 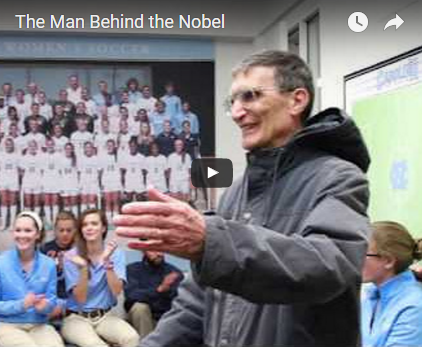 Congratulations to Gary Pielak, joint faculty of Biochemistry and Biophysics, and distinguished professor of Chemistry who received a UNC Lifetime Mentor Award! The Department continues to rank highly for NIH funding among all Biochemistry departments in the US. In 2016, the Department secured 14.96 million in federal funding and ranks 8th. Congratulations to Mahmoud Shobair, a graduate student of Biochemistry & Biophysics, for receiving the 2016 Dissertation Completion Award.